Look at That Facial Expression! 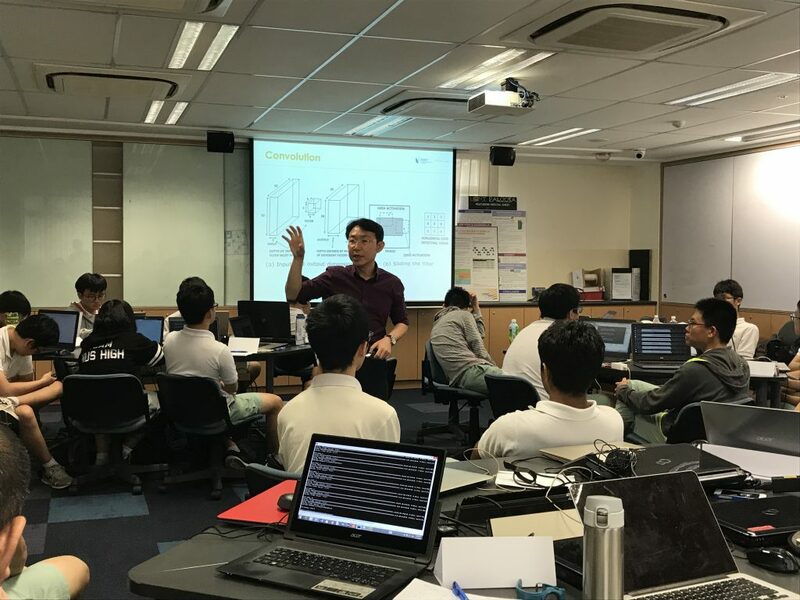 Upon the invitation from NUS High School of Mathematics and Science, Tuan and Hady interacted with a group of 24 eager and precocious students in their Year 4 to Year 6 during a hands-on workshop on image classification. The theme of the workshop was “Facial Expression Recognition with Neural Networks”. It covered how to build an image classifier using neural networks, with an application to facial expression recognition, classifying whether a photo would indicate emotion such as happiness or sadness. 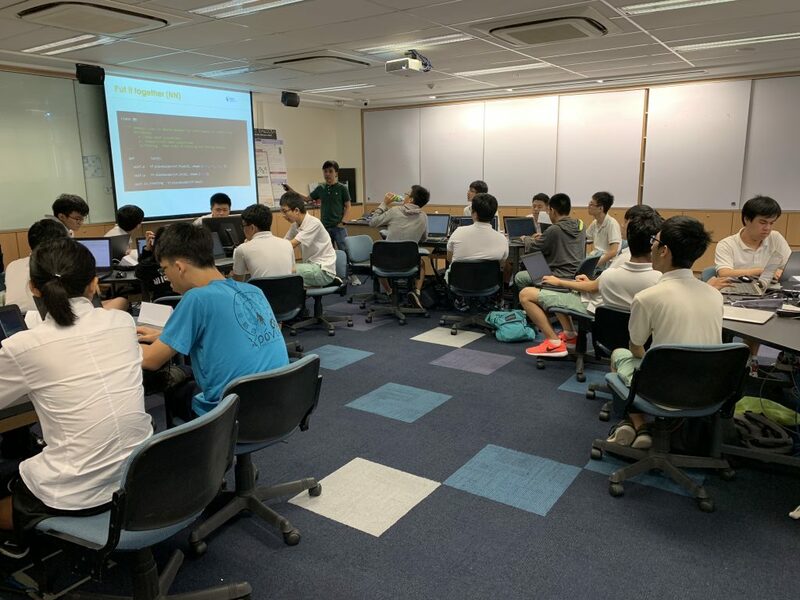 We covered several topics including multilayer perceptron and convolutional neural networks, first explaining the concepts then guiding the students through hands-on exercises to experiment with various neural network architectures. 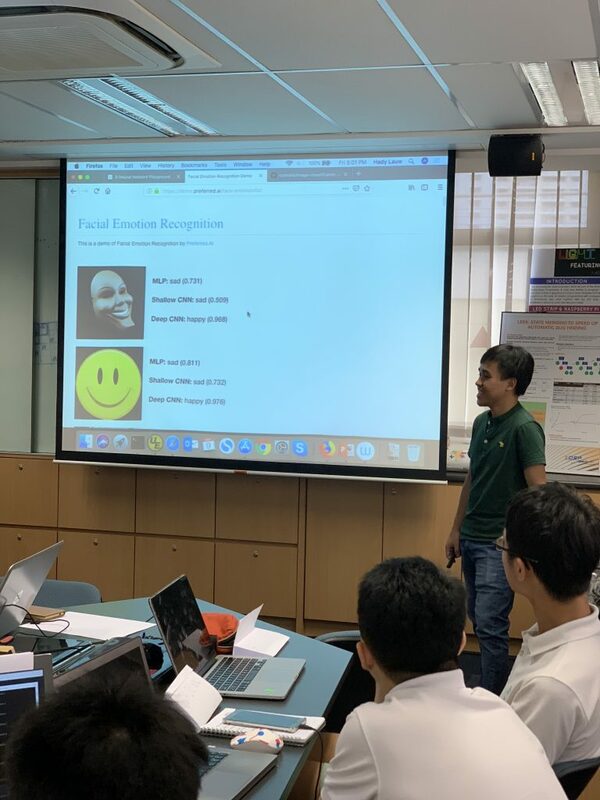 To make the learning experience more entertaining and engaging, we put up a Web service that allowed students to upload their own photos to test the output classification (happy or sad). 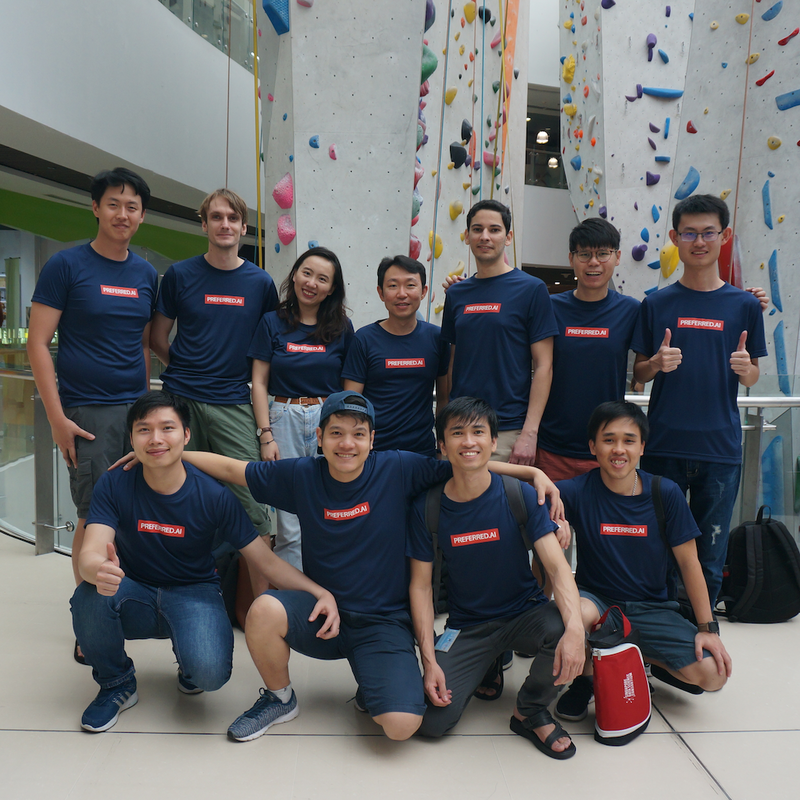 It injected a lot of fun and exuberant moments, as the students were pushing the image classifier to the limit. This helped the audience to appreciate the architectural designs and the model’s sensitivity to training data. Judging from the students’ facial expressions at the end of the workshop, we could see that they had enjoyed the lesson. No, we did not need the image classifier to see that. For more happy faces, check out our tutorial materials. Preferred.AI © 2019. All Rights Reserved.